This week’s resolution is “I Will Organize My Photo Library!” Your hosts, Rich Harrington and Kevin Ames are joined by guests Peter Krough, author of the DAM* Book and Lightroom expert Tim Grey. Participants during the live broadcast can ask questions via chat. While photographs are copyrighted when the shutter button is pressed they don’t count legally until they are registered. Kevin Ames hosts this webinar on copyright registration. His guests are ASMP Atlanta board member John Slemp and Intellectual Property attorney Jeff Veal. Questions may be sent via chat during the webinar. Sponsored by Adobe Stock. While editorial uses don’t require releases, commercial uses, like selling stock, do. Moderator Kevin Ames and Adobe Stock expert Mat Hayward discuss the ins and outs of getting and managing model and property releases. Join them live from Nashville and Imaging USA. Photography has to be seen to be valuable for the photographer. Photofocus publisher, Rich Harrington, and managing editor, Kevin Ames host this tip-packed webinar on how to build a photographic portfolio and get it online. Learn how to make your photographs seen so they can bring in work. Sponsored by Adobe Stock. 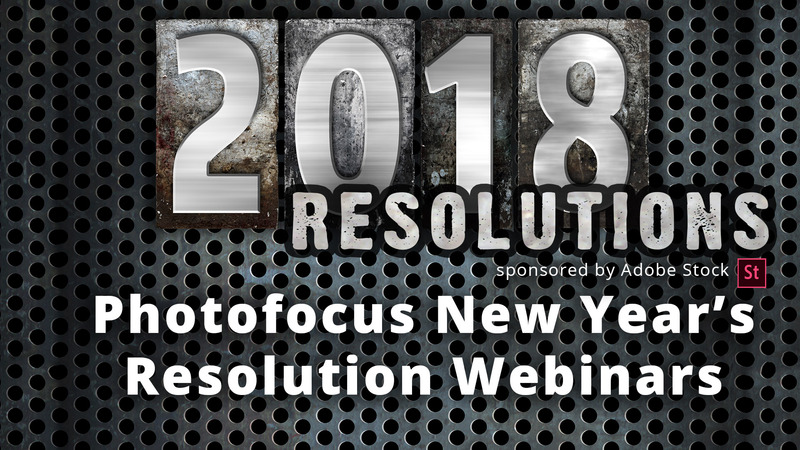 Photofocus hosts Rich Harrington and Kevin Ames are joined by Adobe Stock experts Dennis Radeke (video) and Mat Hayward (still) to share ways of making money with your library of videos and photos. Those participating can ask questions via chat. Sponsored by Adobe Stock.